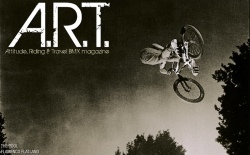 The third issue of Cream Mag successor A.R.T. is out now. Random information: did you know there is another mag called Cream? We preferred our BMX cream tho! What´s in A.R.T. Magazine #3 flatlandwise?